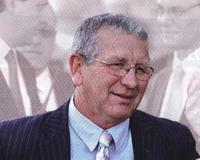 Ken Keys is a highly motivated and enthusiastic horse trainer operating out of the Cranbourne Training Complex. Ken originates from King Island off the coast of Tasmania, where he first discovered his love of horses and decided to pursue a career in horse training. Ken and his wife Louise left King Island and relocated permanently to Melbourne in the eighties after having success with a horse he was training, the owner of the horse head-hunted Ken into moving to Melbourne to train for him permanently on his stud. Ken established a small training operation in Carrum Downs on a leased property in 1984, and moved to Cranbourne after purchasing the property in 1987. The business has remained in family hands throughout with Ken’s wife Louise and daughters being heavily involved in the day-to-day running of the stable. At the time that Ken was learning the ropes the knowledge that experienced trainers had on how to pick a winner was a closely guarded secret. Ken is therefore a predominantly self taught trainer who would gain what knowledge he could from others by asking as many questions as they would allow, at sales he would form one of the leading trainer’s entourage (Bart Cummings for instance) and by observing them he could learn what to look for in a horse. Ken is committed to bringing out the full potential of every horse that passes through Saloon Park stables. His philosophy towards racing has always been open minded and he continues to better himself by remaining open to new ideas and concepts within the racing industry.